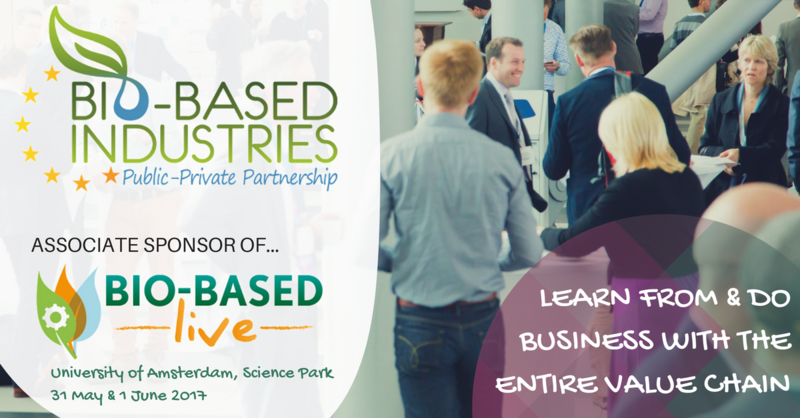 On 31 May-1 June 2017, Bio-based Industries Joint Undertaking (BBI JU) will join Bio-Based Live Europe as Associate Sponsor. Bio-Based Live Europe aims to take bio-based innovations from lab to market through best practice sharing and making bio-based products a key part of sustainable strategy, focusing on 2 key themes: Process Innovation & Technology and Sustainable Products. More than 50 Speakers, such as Philippe Mengal (BBI JU Executive Director), Geert Dancet (Executive Director of European Chemicals Agency), Charlotta Lyon (Senior Vice-President for Sustainability and Corporate Affairs of Carlsberg), Patrick Schiffers (CEO of Synvina) and Jos Peeters (Managing Partner of Capricorn Venture Partners) will be sharing their expertise and innovative ideas. This event offers an interactive and intimate environment to make bio-based innovations a key part of future sustainable strategies. Bringing together the CEOs, senior R&D, Process Heads, and BD Heads, with the sustainable professionals brand marketing specialists and end users, it creates a unique platform to do business and create practical takeaways to ensure long-term success.